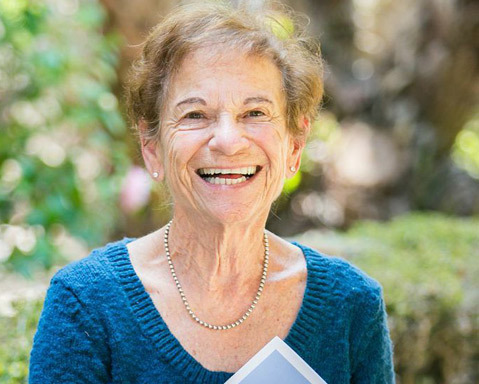 The Alliance for Living and Dying Well was formed to provide residents of south county Santa Barbara with increased comfort regarding end-of-life decisions. The umbrella organization includes the Archstone Foundation, Hospice of Santa Barbara, James S. Bower Foundation, Santa Barbara Foundation, Sarah House, St. Francis Foundation, Visiting Nurses and Hospice Care, Sansum Clinic, religious guidance from both B’nai B’rith Congregation and Montecito Covenant Church, and Cottage Health System to open up the discussion of an individual’s decisions with both their family and their doctors. The Alliance promotes “Five Wishes,” an Advance Health Care Directive (AHCD) that ensures that individuals’ personal medical, emotional, and spiritual choices are made as they wish. The system clarifies who you want to make health decisions when you can’t make them for yourself; the kind of medical treatment you want or don’t want; how comfortable you want to be; how you want people to treat you; and what you want your loved ones to know. The Alliance provides programs and events to facilitate the completion of the Five Wishes system as well as discussions regarding the relationship between life and death. Following the death of her husband, Linda Lorenzen-Hughes began to advocate passionately for the completion of Five Wishes documents by individuals. Lorenzen-Hughes said that while finishing these forms is extremely important for individuals themselves, it is even a greater gift for loved ones and family members. “It really removes a lot of that tension and makes mourning easier; it lets you leave knowing that you did what your loved one wanted,” she said. Jon Clark, president and CEO of the James S. Bower Foundation, has spoken to many medical professionals regarding end of life care and said that stress and familial arguments are all too common surrounding decisions that need to be made for incapacitated loved ones. The Alliance promotes the idea that these decisions should not be made in times of need, but in advance as a way to open up discussion between loved ones regarding death. When Lorenzen-Hughes left on a trip to Rwanda last year, she made sure that her second husband updated his Five Wishes because “our final wishes can change.” When he unfortunately had a fatal heart attack, she said that “everything was so clear with what he did and didn’t want, and it made is so much less stressful. I wish every family would do it.” Lorenzen-Hughes was 31 years old with three young children when her first husband passed away. He was on a respirator while paralyzed from the neck down until he died. But because of the Five Wishes that her second husband completed, he was removed from life support eight hours after his heart attack, per his own requests. Because of her experiences, Lorenzen-Hughes said that it’s imperative that everyone should sit down with their loved ones and discuss their final wishes. “Let’s sit down and talk about it.” She said that filling out the Five Wishes lifts “a huge weight off of the shoulders of loved ones.” The completion of these forms allow for family members and loved ones to mourn without the stress of trying to figure out what they wanted during their time of sickness and afterwards. “Part of the mission is to see if we can increase awareness of the relationship between living and dying well,”said Susan Plummer, Alliance executive director. The various programs that are put on by the Alliance, in collaboration with their many partners, are focused on just that–starting a conversation. Their “Family Friend Events” bring individuals and those important to them together with the hope of allowing the reality of death to become a more open and less scary discussion. Plummer said that this discussion is also vital to the quality of life in the moment because so often people feel that they must rush to live fully only after they have received terminal medical news. “We want people to live more compassionately before the crisis,” Plummer stated. Over the past five years, the Alliance for Living and Dying Well has held programs reaching 5,000 people in Santa Barbara. At their Family Friend events, which are held in various locations such as churches and senior homes, the goal is to draft one’s Advanced Health Care Directive. Specially trained workers facilitate the conversation with those who come and spend multiple sessions creating a trusting relationship in order to help make these important medical and spiritual decisions. All of the programming provided by the Alliance is free of cost and is funded by the Bower Foundation and the Archstone Foundation. The Alliance provides workshops entirely in Spanish and has specially trained persons specifically to work with those with chronic illness, Lou Gherig’s Disease, Parkinson’s, Alzheimer’s, and other conditions that need extra care. By the end of 2014, Plummer is hoping to have 10 monthly workshops every month to provide more opportunities for people to come in and start this important conversation. Another new development to the Alliance’s group of organizations is the free electronic scanning of AHCDs provided by Cottage Health System, which Jennifer Zacharias said was an “important piece of the puzzle to make the Advance Health Care Directives easily accessibly to healthcare providers.” Anyone can go to a hospitality desk of Cottage Health System, regardless of whether or not he or she is a patient on file, and can have their AHCDs scanned into the system, making that information available to all medical personnel should it be necessary. Herb Geary, vice president of Patient Care Services of Cottage Hospital, has been on the Board of Directors of the Alliance, and as the Cottage Hospital representative, worked very closely with medical records to see the increase of Advance Health Care Directives that occurred as the Alliance held more and more free programs. Geary said, “It’s more important than just completing the form, but also telling one’s family that you’ve done it and what it says. Have the conversation with your family when you do this so that your children know what you want.” During programming the Alliance has put on, several people have asked their family members to fill out the Five Wishes for their birthdays. “It really is a gift to your loved ones,” Geary added. For more information on the Alliance for Living and Dying Well, as well as their program calendar, visit allianceforlivinganddyingwell.org.